In an effort to better understand the eBook biz, I’ve gone and published my first book to Kindle Direct Publishing. It’s a test-balloon collection of all the articles I wrote about the Red Baron back in 1995 when I was doing a lot of research for a feature film I had in development. I’ll refrain from name-dropping the movie stars who were involved because, like so many projects that spend years in development, it never happened. All that really materialized in the end were these articles I pitched to a few magazines to make some extra coin. Selling options on screenplays isn’t much of a living. Neither is writing magazine articles, but I got a lot of mileage from that cover article for Aviation History. It was reprinted multiple times and paid a hell of a lot better than any comparably sized fiction story I’ve written for actual books. It seems facts and figures are worth more to the marketplace than imagination and story structure. The plan is to roll out more short material in eBook form in the coming months in order to make some worthwhile out-of-print and brand-new stories and essays available for token sums of money. 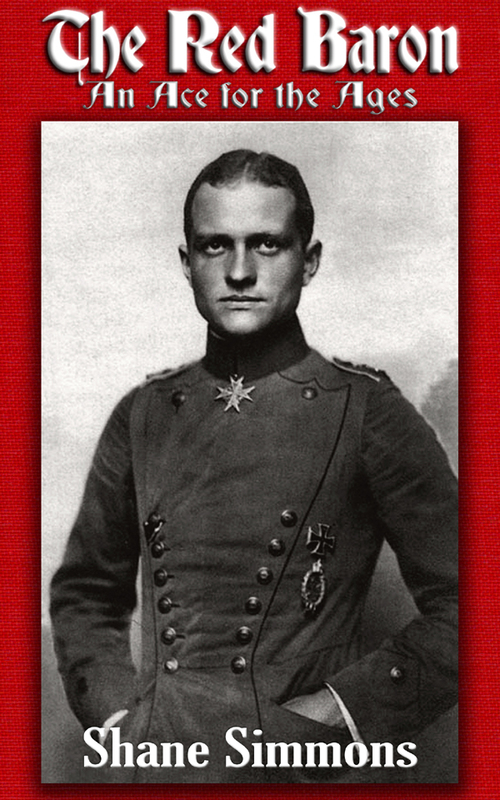 Right now, you can get “The Red Baron: An Ace for the Ages,” “The Baron’s Most Famous Mount,” “Dogs of War,” and “Laying a Legend to Rest: The Death of the Red Baron” on Amazon for your Kindle or Kindle software, all for mere $0.99. I’ll be netting a whopping $0.35 U.S. per unit. With the Canadian dollar where it is these days, if I sell just a few copies, I should be able to pay off my house and maybe buy an entire Canadian province with the spare change. Not a good province, but a decent-sized crappy one like Saskatchewan (flat and boring) or Quebec (broken and French). So if you have any interest in a 22-page overview of some German dude who’s been dead for nearly a century (or, pitched better, the most enigmatic and famous air ace of World War I – or any other war for that matter) shell out a buck and show me that all this fiddly HTML formatting I’ve been doing was worth the effort.